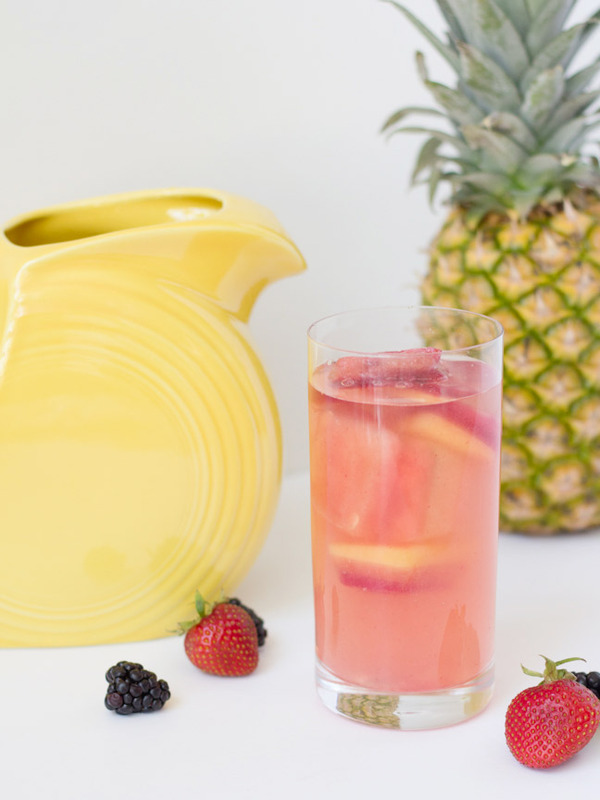 Summer is on its way, and we need a little refreshment! 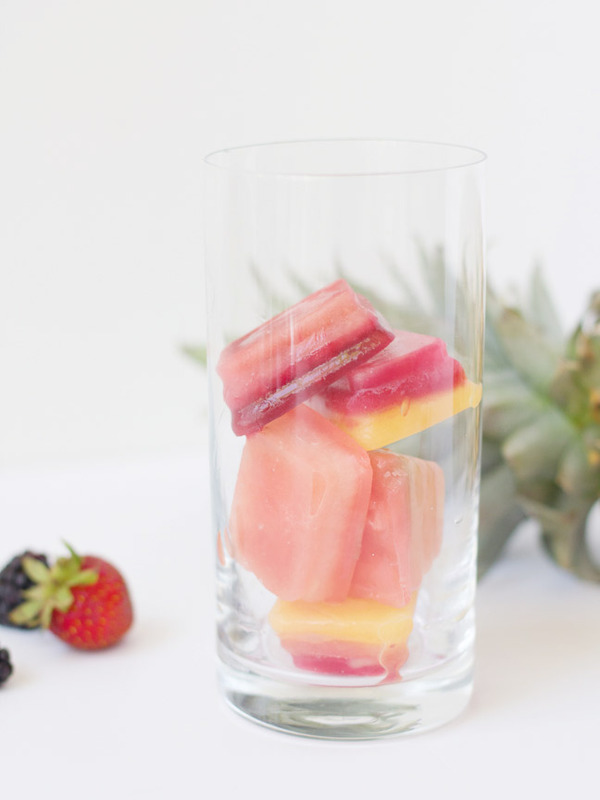 These frozen fruit ice cubes will not only refresh you and your kiddos, but they'll also add a little extra nutritional bang to a regular old glass of water. 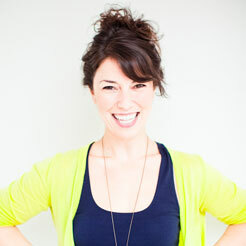 And double bonus—they're really pretty and fun to make. 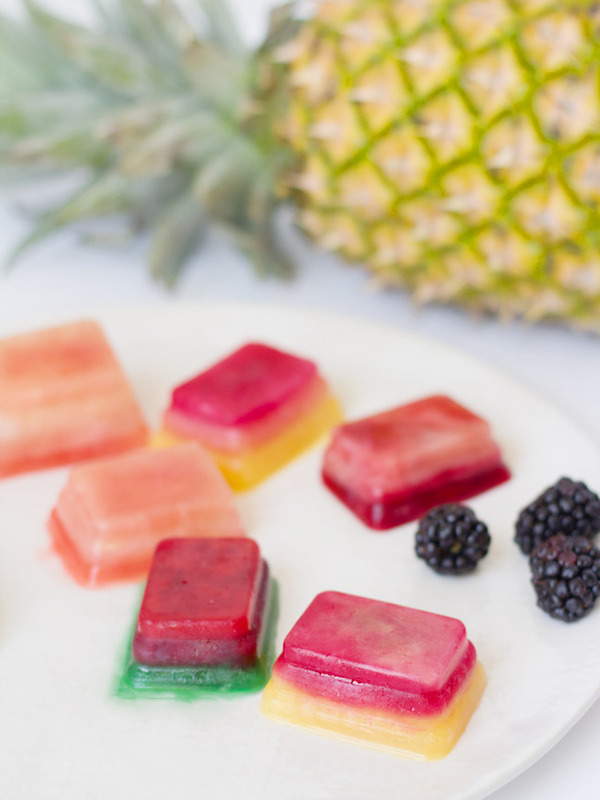 It could be a great summer-day project with your kiddos; let them choose their favorite fruits and help you layer the flavors! 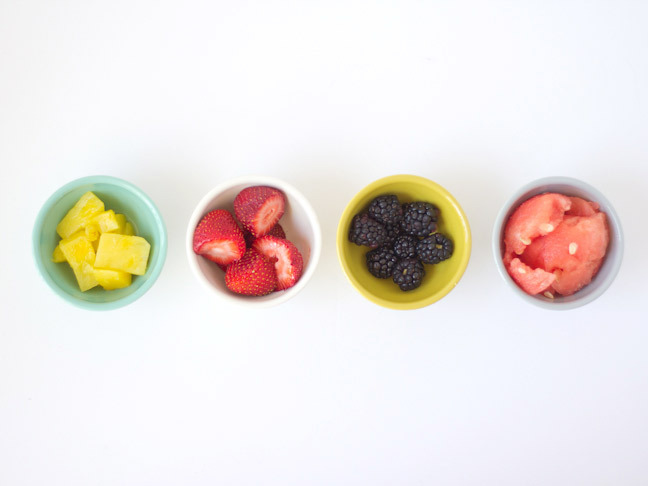 Step 1: Fill your bowls with your favorite fruits. 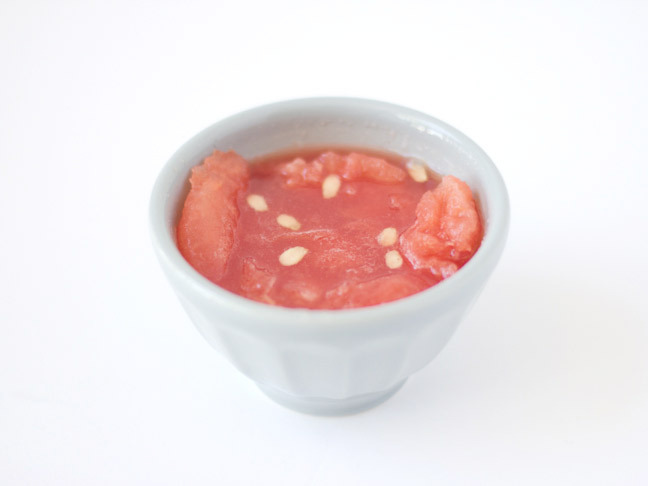 Step 2: Use a muddler or a masher to muddle the fruit until there is plenty of juice in the bowl. 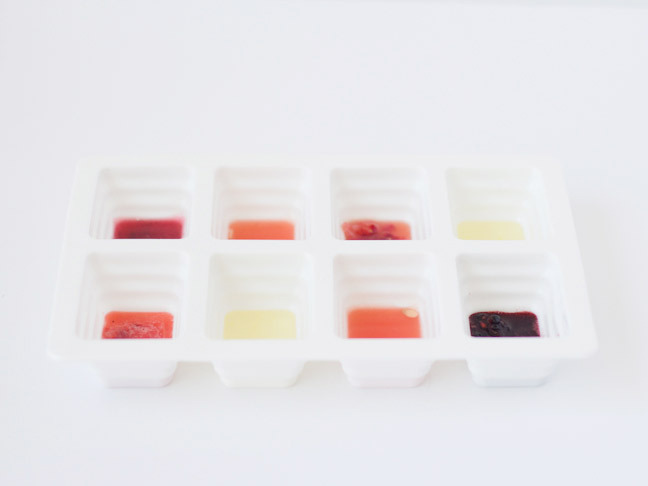 Step 3: Use a spoon to spoon a small amount of juice into each ice cube compartment. Fill only 1/4 or 1/3 of the way. Place the tray into the freezer for about an hour to freeze. 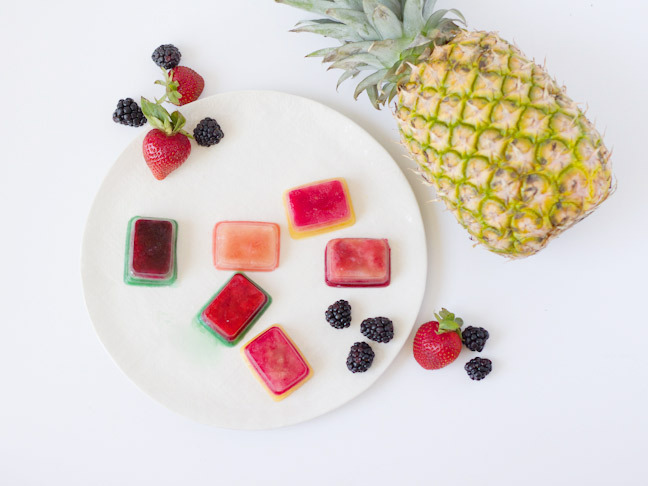 Step 4: Repeat step three until you're pleased with the layering of your ice cubes! 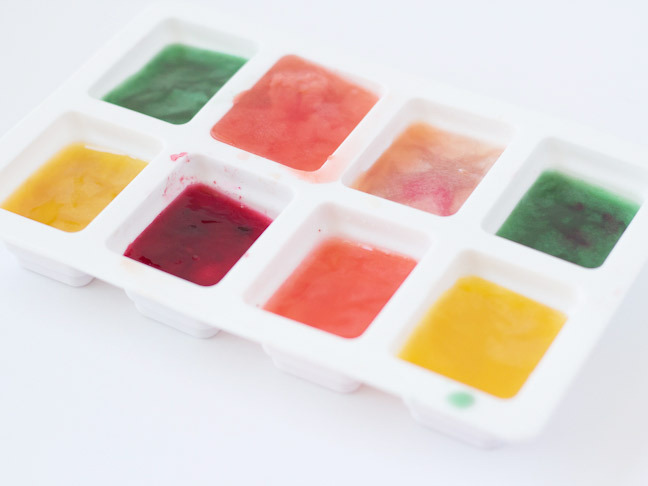 We used three layers for each cube, and alternated colors & fruits so they'd have a rainbow effect. 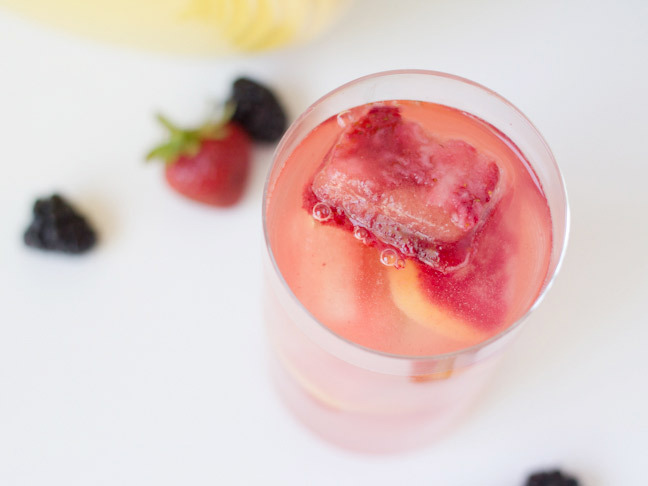 Step 5: For best results, allow the final ice cubes to freeze overnight. 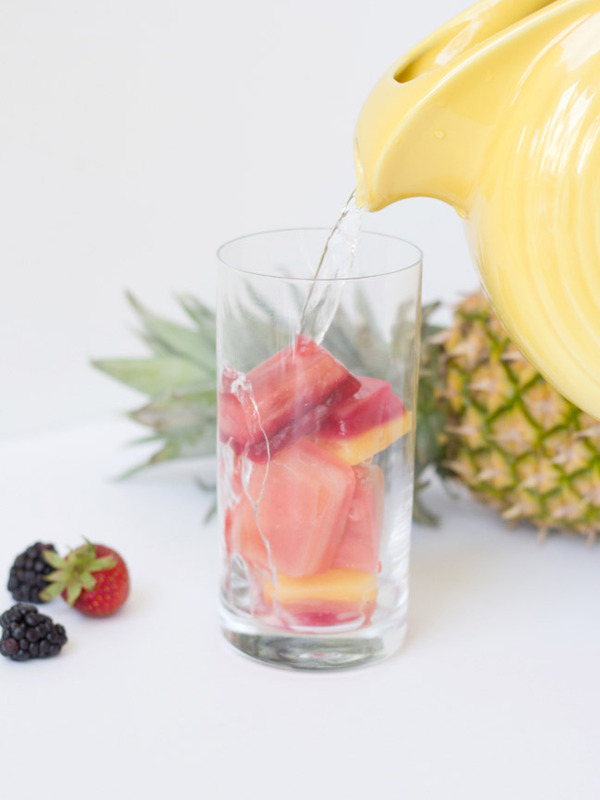 The next day, fill a glass with fruity cubes, pour in some water, and enjoy! 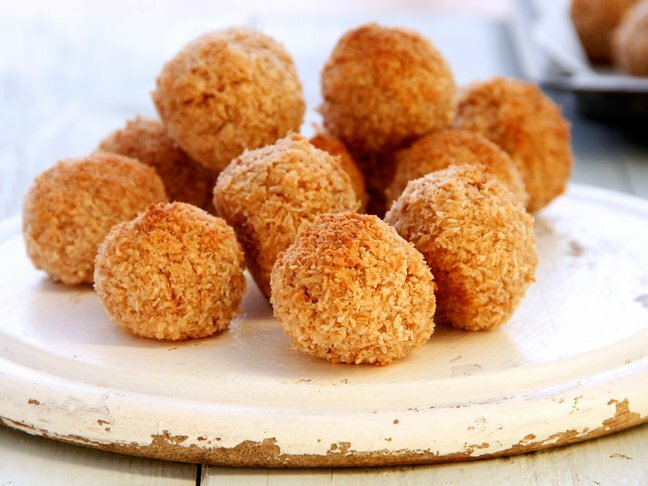 And one last extra special tip—these are particularly awesome with bubbly water. Have fun!